*This post contains an affiliate link. 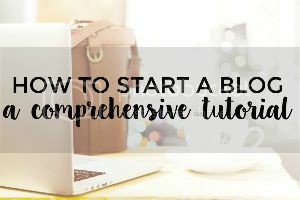 Have you been thinking about starting a blog? It’s 2016 and even though I’ve been blogging for just over a year, I feel like my blogging days are just beginning. 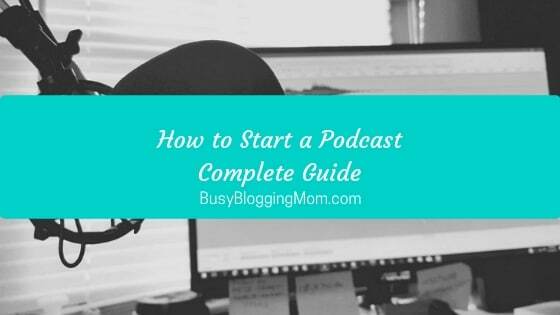 I wanted to start blogging sooner than I did, and I’m kicking myself for not starting earlier. After realizing the unlimited possibilities and opportunities that blogging can bring, I wonder why I didn’t! I absolutely love blogging, (if you hadn’t noticed) and I am so glad I found this outlet. Yet so many people I know don’t even really know what a blog is, and here I am thinking how I can’t believe I didn’t start blogging earlier. I’m obsessed with telling people all about blogging and trying to convince them that they should start a blog because it has totally changed my life! I have renewed hope that I will be able to truly love my career and pursue my passions – and I think that blogging can do that for anyone! It’s a very happy feeling to feel like you are doing exactly what you want — and you can make money doing it, too! But before I started blogging, I researched other ways to make money from home and tried them first. It took me awhile before I was finally convinced – I needed to start blogging! 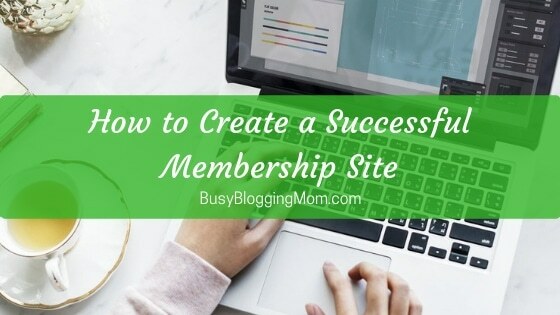 Self-doubt and confusion were two reasons I held back, until I realized that blogging was really the only way I could pursue my passion for writing but still have the flexibility to work from home. 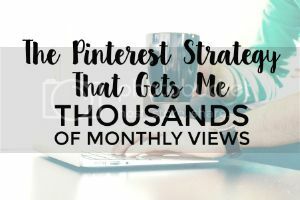 If you’re on the fence about blogging, don’t worry, I’ve been there too! I ignored all of the signs pointing me to blogging. But now I truly believe that blogging is a powerful, liberating tool that you can make work in so many different ways. Still not convinced? You are an introvert. Other than my love for writing as a creative outlet, I am majorly introverted. I’m a homebody at times and I keep a few friends and family close but my social life is nothing to rave about. I enjoy and need my time alone and I don’t mind it that way at all. Blogging gives me a way to feel like I am a human, expressing myself to others without necessarily having to be BFFs with them. I can spend time in my own thought yet still feel connected to others. If this sounds anything like you, you should think about starting a blog. You are an adventurer. You have constant wanderlust and live a little on the edge. I’m not saying you have to travel all over the world, but maybe you do, or maybe you just visit beautiful places. You document your adventures in writing or with photography. You’re an Instagram and Yonder app addict. If this is you, let me just say that there is a WORLD of travel and adventure blogs out there. People love to dream about traveling and adventuring to beautiful places, even if vicariously through someone else’s blog! The best part? You can take your blog anywhere you have an internet connection. You are an artist. Seriously, of anything. Photographers especially love blogs, but if you are a stylist, painter, musician, etc, blogging is an easy (and often cheap) way to get your work in front of eyes all over the globe. It is a marketing tool of unlimited power and you need it, like now. You are a stay-at-home-mom. I am not only a SAHM, but an introverted person with depression. I only tell you this to help you understand how much blogging has impacted me. Like I said before, it helps me feel more connected to the world moving around me, instead of just my own little world. If you are a mom, you definitely have something to say and blogging can be a small commitment or a big one. What you do with your blog is up to you and the possibilities are endless. You are a social media buff. You can’t go a day without a selfie, Instagram post, sending a Tweet, or checking Facebook (I keep trying to tell my almost 15 year old sister that she should start a blog). 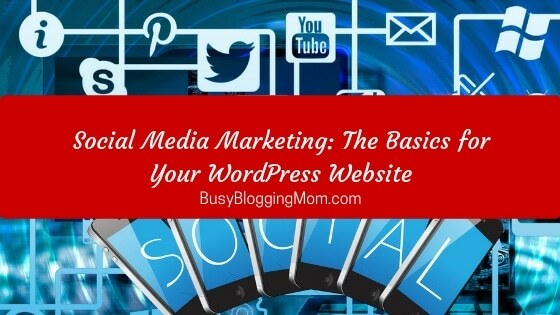 If you love social media, you already understand a big part of blogging! It is very social media-involved, and if you already have a large following you are at a huge advantage! You are an entrepreneur (or aspiring one). Most bloggers you see out there that are making money are just normal people with a dream to work for themselves. Almost every business owner can benefit from keeping a blog. You are a computer nerd. I wish I were a computer nerd who knew how to write code and fix random technical problems because if I were, I’d have a huge portion of blogging down. 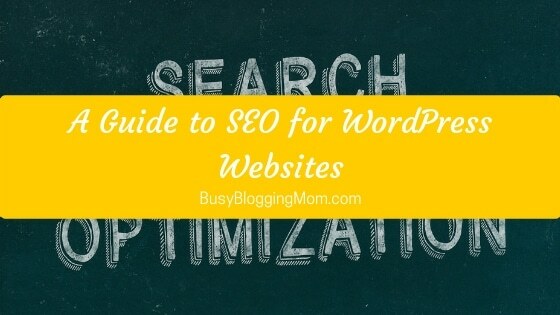 Once you get serious about blogging, knowing how to work with computers beyond the basics is a huge weapon. You love writing. This is really the only reason you need in order to have a blog. If you love to write (whether or not you are good at it), you should be blogging. I love to write but large projects like writing books aren’t really something that I’ve been able to get into. Blogging gives me the chance to write shorter pieces that people actually see! It can be as informal or as technical as you want it to be. If you love writing, consider starting a blog today! In truth, I really think that anyone can blog. All it requires is a little passion and a lot of persistence! If you’ve got that, why not start blogging today? Ready to start blogging? Get started with Siteground! 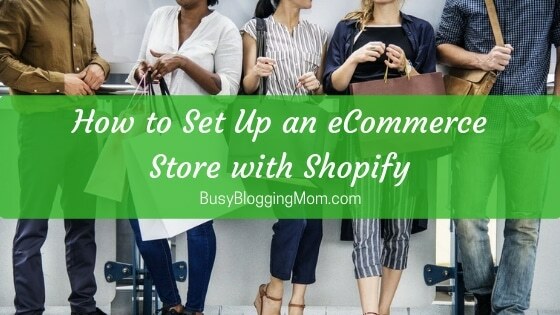 This tutorial is dedicated to helping you start a blog lickety-split!